Introducing a new weekly (let’s hope!) section. While working in the Murfie ingest room, we sometimes come across CDs our customers have sent in that we know and love – and think you should know too. So we’ve decided to begin posting some of our favorites, to help get the word out about what we’re up to here and to give those of you who already know first crack at some of the best music to come through the Murfie vault. This week has brought in a lot of excellent underground hip hop, and I’ve chosen four of my personal favorites. 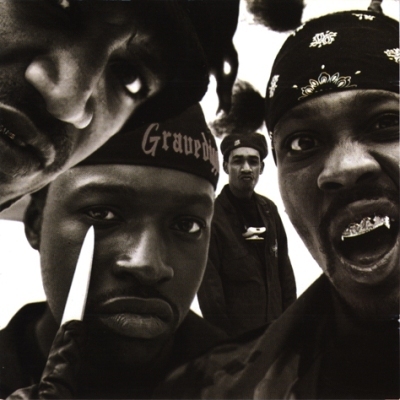 After the huge success of Wu-Tang Clan’s debut, “Enter the 36 Chambers,” producer/MC RZA teamed up with Prince Paul and brought us Gravediggaz, a grimy, goofy album of horror-movie themed hip hop. The Wake-Up Show is a nationally syndicated hip hop radio show hosted by Sway & King Tech, perhaps best known for being the vehicle which brought a young Eminem to the attention of Dr. Dre. This volume of Wake-Up Show Freestyles includes drops from Common, Raekwon, Dead Prez, and Chicago freestyle phenomenon Juice. Roots drummer Amir “Questlove” Thompson founded Okayplayer in 1987 as an informal musical community, and it has since evolved into a tastemaking online platform for some of the best underground hip-hop artists both here and internationally. This Okayplayer sponsored mixtape includes exclusive tracks from Little Brother, The Roots, Jean Grae, Rjd2, and Blackalicious, many of which are not available elsewhere. This may seem like a strange choice, but the soundtrack to this 1996 Jon Lovitz vehicle is full of standout tracks from the Wu-Tang Clan, Scarface, Grand Puba, and Lil’ Kim. My personal favorite, however, is a bizarrely awesome R&B cover of Queen’s “Bohemian Rhapsody” by a little-known group called The Braids.